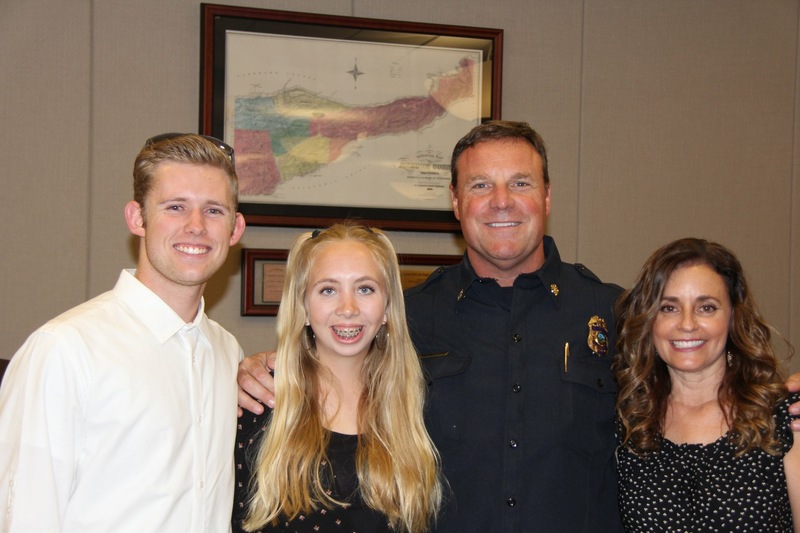 Walt W. White was appointed Fire Chief for the Amador Fire Protection District in September of 2018. He is a veteran firefighter who began his fire service career in 1984 as a volunteer firefighter with the Novato Fire Protection District. Additionally he worked as a seasonal firefighter for the Marin County Fire Department and as an Emergency Medical Technician for King American Ambulance in San Francisco prior to accepting a full-time firefighter position with the American River Fire Protection District (ARFPD) in Sacramento County. In December of 2000, ARFPD merged with Sacramento County Fire to become the Sacramento Metropolitan Fire District (SMFD). Chief White worked his way through the ranks of SMFD, serving as a: Firefighter, Engineer, Captain, Battalion Chief and Assistant Chief. He worked on engine and truck companies and was Captain of the District’s Rescue Company. He was a Regional Fire Academy Drill Instructor and Paramedic Program Coordinator prior to being promoted to the role of Director of Training, Health and Safety for the District. In 2014 he was appointed the 21st Fire Chief for the City of Sacramento; he served in that role until his retirement in 2018.In that role, he represented the Western Division Task Forces of the Federal Emergency Management Agency’s (FEMA) s Urban Search and Rescue (USAR) Response System and was a member of the systems Strategic Team. Chief White earned a M.S in Executive Fire Service Leadership from Grand Canyon University in 2009, B.S in Fire Service Management from Sacramento State University in 1991 and an A.A in Fire Technology from American River College in 1988. Furthermore he achieved Executive Fire Officer (EFO) Certification from the National Fire Academy in 2006, Chief Officer Certification from California State Fire Training in 1998 and completed the Naval Postgraduates Executive Leadership program in 2015 and Harvard’s National Preparedness Leadership Initiative (NPLI) in 2012/2013. Chief White is an advocate of firefighter fitness and has competed annually in the 3M / Scott Safety Firefighter Combat Challenge since 1992, twice winning National Championships in the Fire Chief Division. He married his college sweetheart Amy in 1992. Together they are raising two children: Jackson and Sofia. Chief White has been active in the community, coaching youth sports and participating in annual charity fundraisers such as Guns & Hoses Football, WEAVE’s Walk-a-Mile in Her Shoes and as an Ambassador for the American Cancer Society’s Real Men Wear Pink.